Searching for food in SS2 and decided on Jojo Little Kitchen since my friend was raving about it. 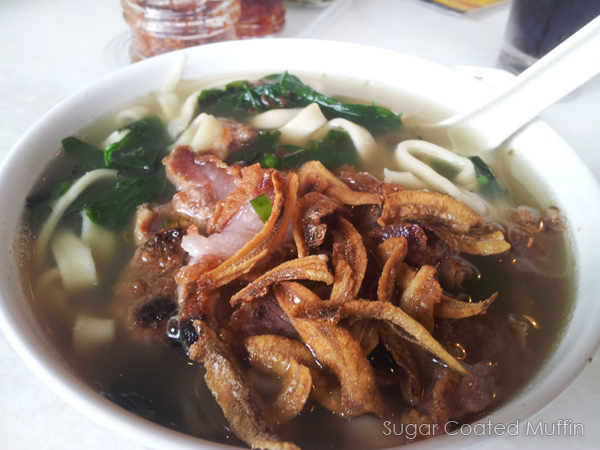 Both of us ordered Fried Pork Pan Mee (RM 7.30) but mine is dry while his is in soup. The crunchy fried pork was really good!! Quite a number of slices too and topped with lots of crunchy ikan bilis. But I'm afraid that's the end of the compliments. Le bf said it's not even soup but 'water used to wash the vege' as there was barely any taste. Amount of vege was pathetic. Noodles were too thick and hard for our preference. The dry version was even worse! Observe the sad looking leaves. The dark sauce (underneath) was sweet and when I ate the food with the provided sauce (in saucer), it tasted like iced lemon tea. Not kidding. 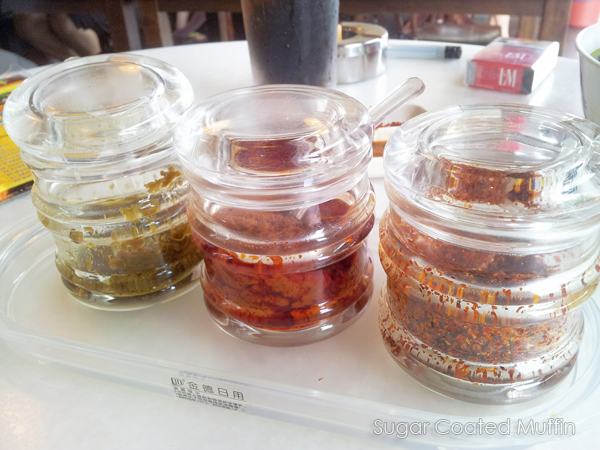 To take my mind (or taste buds) off the strange iced lemon tea taste, I smothered it with the dried chilli flakes. Only to find.. a strand of hair inside. I just threw it away, thinking it could be from a disgusting customer. 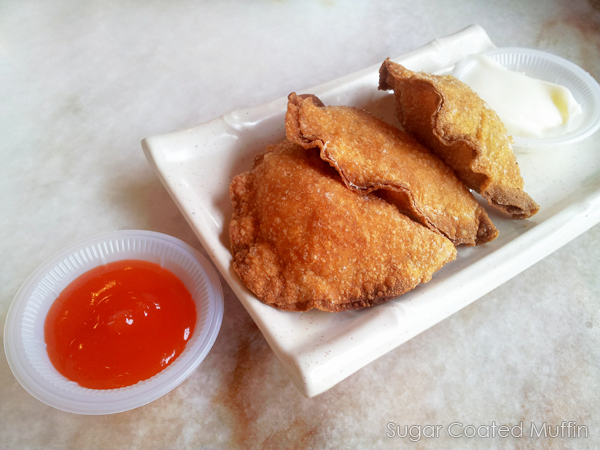 Also ordered this fried century egg dumpling (RM 6.50 for 3 pcs). The skin is super crispy (it was freshly made and still warm) but slightly oily. The dumpling itself tasted good but I found it to be too salty and the taste of the century egg was overwhelmed. Such a waste.. Also, as I bit inside I found a surprise! Another strand of hair! There's no denying that this time it was definitely from the kitchen as it was inside the dumpling. Safe to say I won't be dining here again.. =_=" I would rather go back to Super Kitchen Chilli Pan Mee or Face to Face. Address : 47, Jalan SS2/64, 47300 Petaling Jaya, Selangor. Yeah.. Thought I wanted to try something new =_=""" Bad move! Yeah! And love the amount of veges they put inside. Omg...yummy yummy! I've been eating a lot of noodle with fishballs and meat bits...its my favorite when Im not feeling well!